MLB star Bryce Harper swings so hard, it hurts. 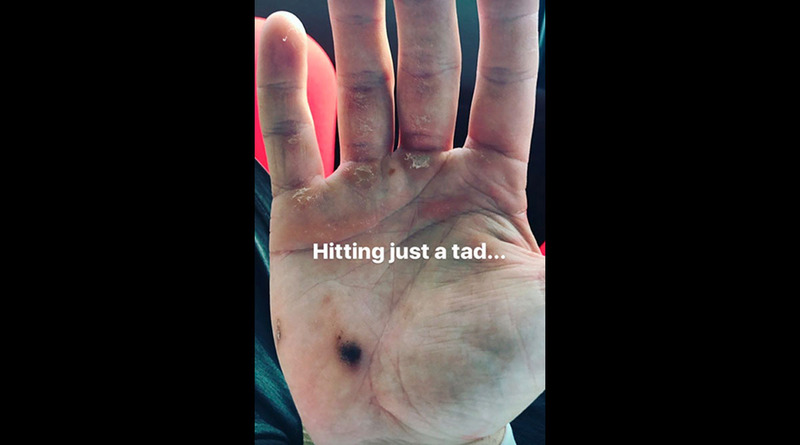 The now-Philadelphia Phillies outfielder got ready for spring training with some work in the batting cage, and he was been working so much, his hands were full of cuts and blisters. Bryce Harper’s deal with the Philadelphia Phillies includes a no-trade clause, league sources tell ESPN. Combine that with the 13-year, $330 million term, and this much is clear: Bryce Harper is committed to being a Philadelphia Phillie for the rest of his career. Now he’s ready to mash in Philly.